A year ago…..I was on vacation with my family taking in the happy and fun of Disneyland. I had no idea I was losing my vision. I didn’t know what LHON was or that it even existed. What a difference a year can make. 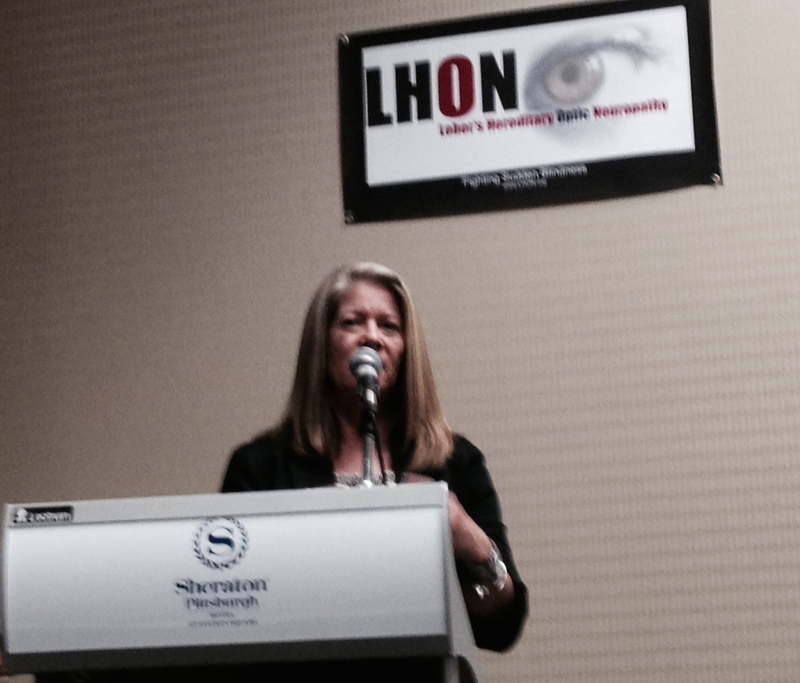 I recently returned from participating in the annual LHON Symposium held with the UMDF Conference in Pittsburgh. It was a fantastic experience that gave me the opportunity to meet others just like me! Others unexpectedly affected by LHON. The symposium was great in so many ways! In fact, the whole trip was a really great experience! …. First time traveling blind….. Two words: airplane bathrooms. Holy blind girl! Those were fun! Anyway…. I’m not going to give you every crazy detail of the trip. I mean, I could….. but, we would be here all night! Speaking and moderating 2 panels at the symposium was awesome!! It went really well and all the panelists did a fabulous job sharing their LHON journeys. I loved being a part of this day. 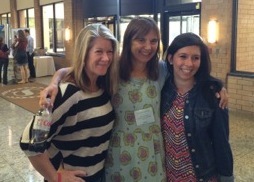 Sharing my journey and talking about this blog was a THRILL! Being up in front of a group is very comfortable and fun for me. Surprised? C’mon… I do my “Live with Maria” thing every week as a fitness instructor! My friends know how I do! There were many other speakers, doctors, and scientists who spoke on topics important to the LHON community. From the latest research to psychology to fundraising. Funding is always needed for research…… and I plan to jump on the fundraising train real soon! The BEST part of the trip was meeting and connecting with all those who made it to Pittsburgh, whether you are affected, a carrier, or just someone who supports a loved one…. Pittsburg was the place to be! 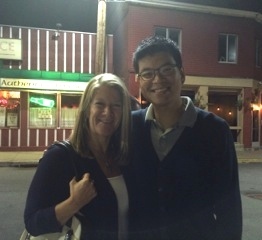 I had talked to many of you on the phone in prior weeks and meeting you in person was like finding a long lost sibling! There was an immediate bond between everyone! We all spoke the same language and asked the same questions. We laughed and swapped stories every minute we could. It was amazing to be around people who really understood. Getting involved and creating these new “unexpected” friendships is essential to my well-being. The LHON connections are priceless! Looking forward to Virginia/Washington DC in June 2015! Get connected and plan to go! A year ago…..The last thing on my mind was “What would I do if I became blind?” Well…I guess I would write a blog called……. Girl Gone Blind. What a difference a year can make. 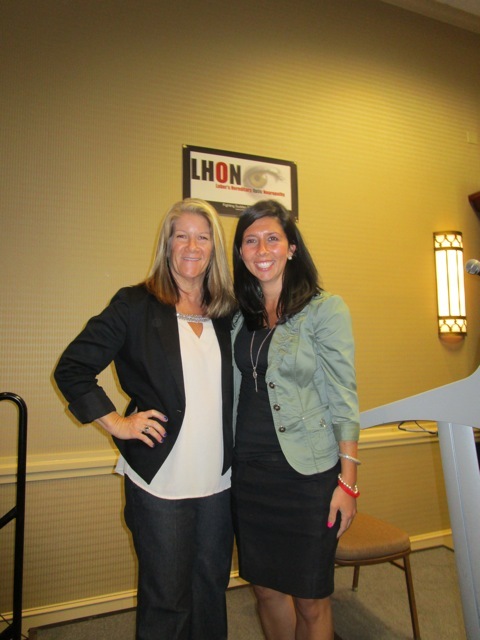 Thank you Lissa Poincenot for giving me such a great opportunity and for all you do in the LHON community! Great effort Maria, keep on truckin’! What an inforrmative blog about your experience in Pittsburgh…loved seeing the pictures as well. Your mom-in-law led me to your blog ( website). Maria, I am not a techie person. I am truly proud to know you and love your spirit and inspiration for others. Your comments after your conference are wonderful and funny ( the airplane bathrooms). Thank you for letting me a part of this journey with you. Your consistent positivity and strength are an inspiration to all of us. I ADORE you! You did an awesome job in Pgh. It was very inspiring listening to your stories of just how frightening and challenging this disease is for all who become “affected.” Thanks for sharing. Maria – You continue to amaze us with your strength, positive attitude and joy. Keep up the good fight and keep enlightening all of us! Your Santa Barbara family loves you!!! In the few years that I have known you – you always REPRESENT. Whether it be as a uber band mom, an awesome fitness instructor, and as a friend who welcomes everyone to the team — no matter what team that is. For some reason, I believe, God plopped this in your lap because He knows you can and will make a difference. I admire your courage, your inspiration, and just being you “Maria the mom of two of the greatest kids I’ve ever met”.